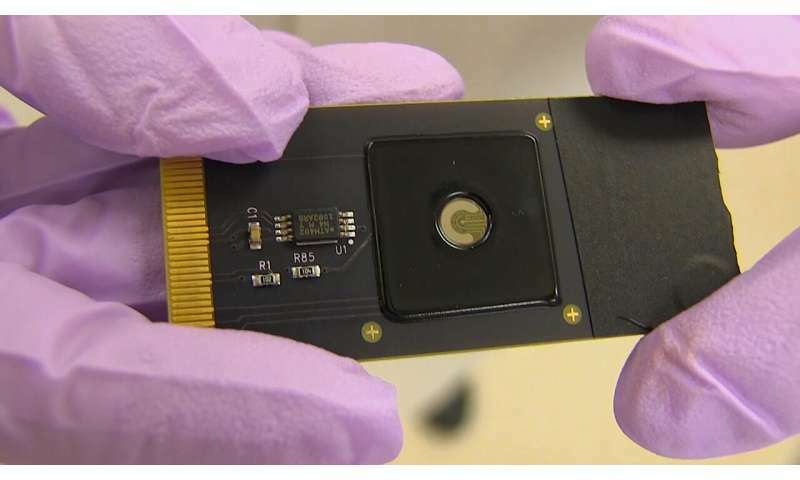 "We have developed the first transistor that uses CRISPR to search your genome for potential mutations," said Kiana Aran, an assistant professor at KGI who conceived of the technology while a postdoctoral scholar in UC Berkeley bioengineering professor Irina Conboy's lab. "You just put your purified DNA sample on the chip, allow CRISPR to do the search and the graphene transistor reports the result of this search in minutes." But unlike most forms of genetic testing, including recently developed CRISPR-based diagnostic techniques, CRISPR-Chip uses nanoelectronics to detect genetic mutations in DNA samples without first "amplifying" or replicating the DNA segment of interest millions of times over through a time- and equipment-intensive process called polymerase chain reaction, or PCR. This means it could be used to perform genetic testing in a doctor's office or field work setting without having to send a sample off to a lab. To harness CRISPR's gene-targeting ability, the researchers took a deactivated Cas9 protein—a variant of Cas9 that can find a specific location on DNA, but doesn't cut it—and tethered it to transistors made of graphene. 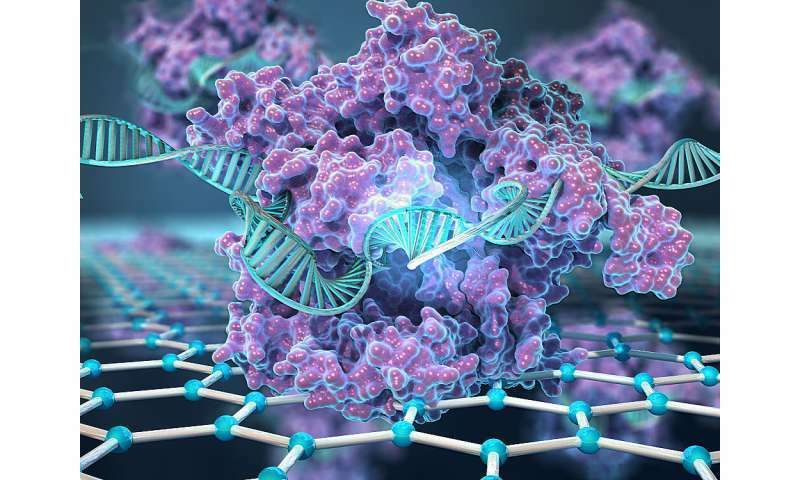 When the CRISPR complex finds the spot on the DNA that it is targeting, it binds to it and triggers a change in the electrical conductance of the graphene, which, in turn, changes the electrical characteristics of the transistor. These changes can be detected with a hand-held device developed by the team's industrial collaborators. Conboy, co-author of the paper, says CRISPR-Chip could be an especially useful device for DMD screening, as the severe muscle-wasting disease can be caused by mutations throughout the massive dystrophin gene—one of the longest in the human genome—and spotting mutations can be costly and time-consuming using PCR-based genetic testing. "With a digital device, you could design guide RNAs throughout the whole dystrophin gene, and then you could just screen the entire sequence of the gene in a matter of hours. You could screen parents, or even newborns, for the presence or absence of dystrophin mutations—and then, if the mutation is found, therapy could be started early, before the disease has actually developed," Conboy said.